IMF managing director Christine Lagarde (L) gives her closing remarks with Indian finance minister Arun Jaitley (R) as they participate in the conference on 'Advancing Asia: Investing for the Future' in New Delhi. 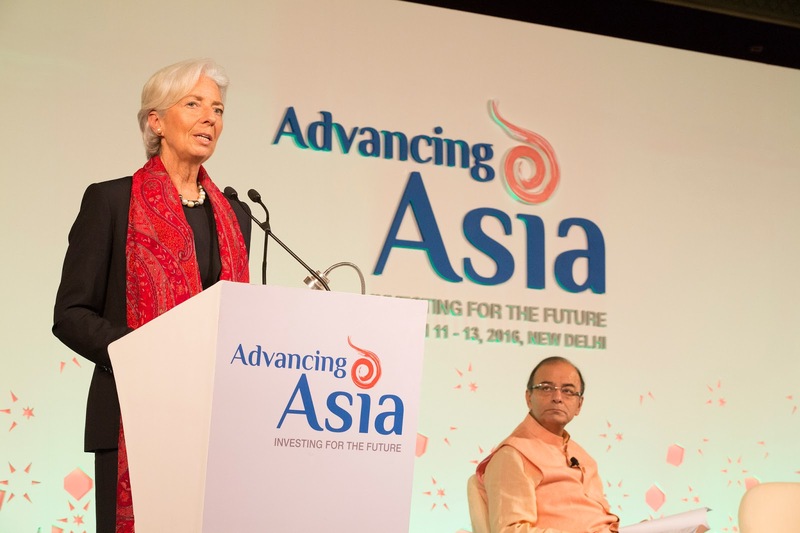 New Delhi: Here's the full text of IMF managing director Christine Lagarde's closing remarks at the end of the conference on 'Advancing Asia'. “I would like to express my profound appreciation to Prime Minister Narendra Modi and to the people of India for their warm hospitality. My thanks go also to Finance Minister Arun Jaitley and his dedicated team at the Ministry of Finance for the organization of this Advancing Asia conference, where I had the opportunity to meet finance ministers, central bank governors, and private sector representatives from throughout the region. “At the conference, we took stock of Asia’s strong economic performance and its ongoing policy challenges -- monetary, fiscal and structural -- in the face of an increasingly uncertain global economic environment. Our discussions included how to maintain and enhance the region’s high growth record while boosting jobs, reducing inequality, accelerating infrastructure and human capital development. We also exchanged views on managing capital flows, financial inclusion, demographic issues, women’s empowerment and climate change. “Innovation and technology are some of the other major paths to unleashing Asia's full potential. We saw these attributes reflected in the creative submissions that we received from young people all over Asia for the conference's youth video contest. We also celebrated the agreement to establish a new South Asia Regional Training and Technical Assistance Center (SARTTAC), which will serve Bangladesh, Bhutan, India, Maldives, Nepal, and Sri Lanka--and will be the first IMF-supported center to combine both technical assistance and training. “Advancing Asia” is the continuation of an important conversation in the region that I look forward to sustaining as we look toward the IMF and World Bank Annual Meetings to be held in Indonesia in 2018.